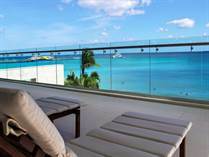 Playacar Mexico is and will be the most exclusive gated community in Playa del Carmen. It is divided in Playacar Phase 1 and Phase 2. They have independent access and different characteristics. Playacar phase 1 is probably the most desired location for buying real estate in Playa del Carmen, it has the only beachfront homes in Playa and 3 more lines of luxury homes surrounded by big green areas with small archeological Mayan sites and lots of trees. It also has the nicest beach in town. 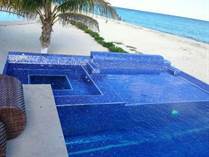 If you are looking for luxury houses for sale in Playa del Carmen, on the beach, this is the place to be. Playacar Phase 2 is behind phase 1 and is surrounding Playacar´s golf course, one of the most challenging courses in the Mayan Riviera. Playacar phase 2 is a quiet and well-planned golf community where you can find all kinds of real estate deals. 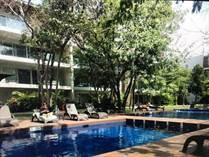 It has shopping centers, yoga studio, CrossFit, daycare, some restaurants, cafes, and the most important thing, it is connected walking distance to the marvelous beach in phase 1 and Down Town Playa del Carmen. Looking for houses for sale in Playacar? You are in the right place! "2 bedroom condos starting @ $276,881 USD"
"1 bedroom condos starting @ $198,198 USD"
"Moderno Condo en la tranquilidad de PLAYACAR "
"THE BEST OPTION BEACH FRONT AT PLAYACAR PHASE 1"
"Beachfront home luxury in Playacar"
The most exclusive gated community in Playa del Carmen, Playacar is divided into two phases, each with gated access and 24/7 security. Phase 1 offers incredible beachfront real estate in Playa del Carmen and luxurious houses, just steps from the beach. Filled with beautiful tropical vegetation, Playacar Phase 1 has some incredible homes. Playacar Phase 2 is built around a beautiful 18-hole golf course and offers condos for sale in Playa del Carmen, as well as private homes, like the gorgeous houses for sale Playa del Carmen located in the Club Real neighborhood. Playacar Phase II also offers commercial areas with restaurants, shopping and more, day care, a school, a veterinarian clinic, a yoga studio and so much more. Both gated communities are quiet, well maintained and perfect for those in search of real estate Playa del Carmen outside of downtown. You can be just a short walk or bike ride away from the Playacar beach and the start of 5th Avenue and enjoy the serenity of an incredibly well maintained and cared for community.